Be there at 8:00 PM (Brooklyn Standard Time). The location is close to the Lorimer stop on the L train or the Metropolitan stop on the G.
You can follow us (John and Keegan) to the after party at our apartment (corner of Olive and Devoe Streets). Metro Rhythm is pleased to announce that we will be hosting poet and story-writer Eleanor Lerman at our reading series this October. Lerman is the author of five books of poetry, most recently The Sensual World Re-Emerges (Sarabande, 2010) and Our Post-Soviet History Unfolds (2005), the latter of which received the Lenore Marshall Award from the Academy of American Poets for the year’s most outstanding book of poetry. She is also the author of The Blonde on the Train and Other Stories, published by Mayapple Press in 2009, and recently completed a novel, Janet Planet, based on the life of Carlos Castaneda. It would be another twenty-five years until Lerman was approached by Sarah Gorham, president of Sarabande Books and long-time admirer of Lerman’s work. Gorham asked if Lerman might have a book for Sarabande, and the press subsequently published The Mystery of Meteors, Lerman’s third book, in 2001. Lerman is a lifelong New Yorker, and lives in Long Beach, Long Island. You can read more about Lerman, as well as some of her poetry, at the Academy of American Poets website. Visit Lerman’s website at http://www.eleanorlerman.com. Read some of Lerman’s work below. “That Sure is My Little Dog.” From Our Post-Soviet History Unfolds by Eleanor Lerman, published by Sarabande Books. Copyright © 2005. Used with permission. All rights reserved. 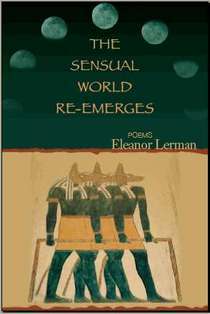 “The Sensual World Re-Emerges.” From The Sensual World Re-Emerges by Eleanor Lerman, published by Sarabande Books. Copyright © 2010. Used with permission. All rights reserved. For anyone who has been following us for the past few months, it should come as no surprise that Metro Rhythm will be teaming up this September with Ugly Duckling Presse. Until now, however, we had yet to announce an official line-up. So here it is: The reading will feature four poets, Natalie Lyalin, Ben Fama, Garrett Kalleberg and Matvei Yankelevich. The event will be held in promotion (and celebration) of Lyalin and Fama’s recently released books as part of the Time Travel Through the Cosmos Tour 2k10. As always, the event will be held at Blue Angel Wines in Williamsburg, Brooklyn. 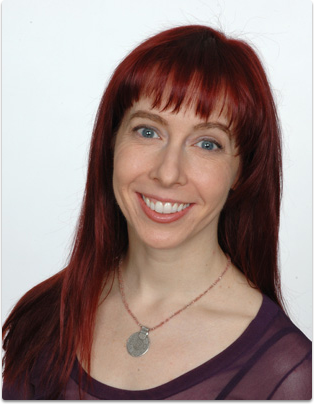 Natalie Lyalin is the author, most recently, of Try a Little Time Travel, released from Ugly Duckling Presse in July 2010. Born in Leningrad, and currently living in Philadelphia, she is also the author of Pink & Hot Pink Habitat (Coconut Books, 2009) and is a graduate of the MFA Program for Poets and Writers at the University of Massachusetts, Amherst. She is the co-founder and co-editor of GlitterPony Magazine. Ben Fama is the author of Aquarius Rising, also released from Ugly Duckling in July. Ben is also the author of the chapbook Sun Come and co-author of the chapbook Girl Boy Girl Boy (Correspondences, 2010). He is the founder of the Brooklyn-based Supermachine Reading Series and poetry journal. His work has appeared in GlitterPony, Pank! and No, Dear Magazine, among others. Garrett Kalleberg‘s Malilenas was released by Ugly Duckling in November 2009. His previous volumes of poetry include Some Mantic Daemons (Futurepoem, 2002), Psychological Corporations (Spuyten Duyvil, 2002), and Limbic Odes (Heart Hammer, 1997). His poetry, reviews, and translations have appeared in various journals, including Brooklyn Rail, The Canary, Crowd, Eleven Eleven, Damn the Caesars, Tragaluz (Mexico), Fence, Sulfur, First Intensity, Denver Quarterly, A.bacus, Aufgabe, Mandorla, and American Letters & Commentary, and in An Anthology of New (American) Poets (Talisman House, 1998). His awards for poetry and critical writing include a grant from Poets & Writers, two awards from the Academy of American Poets, and two grants from The Fund for Poetry. Garrett holds a BFA from Cooper Union, and an MA in Creative Writing from City College. 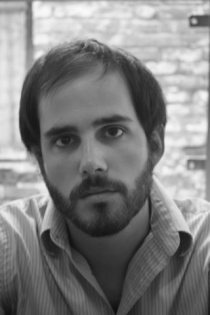 Matvei Yankelevich‘s books and chapbooks include Boris by the Sea (Octopus Books), The Present Work (Palm Press), and Writing in the Margin (Loudmouth Collective). His writing has appeared in Action Yes!, Boston Review, Damn the Caesars, Fence, Open City, Tantalum, Typo, Zen Monster, and other little magazines. His translations from Russian have appeared in Calque, Circumference, Harpers, New American Writing, Poetry, and the New Yorker and in some anthologies. He edited a portfolio of Contemporary Russian Poetry and Poetics for the magazine Aufgabe, and has written essays on Russian-American poetry for Octopus magazine online. He teaches at Hunter College, Columbia University School of the Arts (Writing Division), and the Milton Avery Graduate School of the Arts at Bard College. At Ugly Duckling Presse, he designs and/or edits many and various books, is the editor of the Eastern European Poets Series, and a co-editor of 6×6. He lives in Brooklyn. View all new releases from Ugly Duckling here.